Price is 19% below the initial Playmobil retail price, a € 8.33 discount! 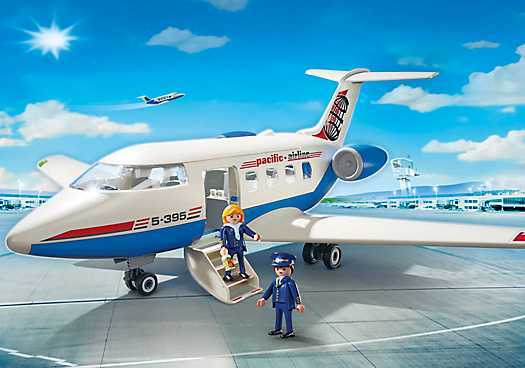 The Passenger Plane (5395) Playmobil set is no longer directly available from the sites below. However, 3rd party partners of these sites might still have the set available. The roof of the cockpit and passenger's area can be removed. Can be combined with the ""Aircraft tug with ground crew"" (item 5396) to get the aircraft into its start position before depature.